Saskatoon Coffee - YXE Coffee Club is the go to resource for anyone looking for the latest and greatest cafes in Saskatoon and area. We aim to grow coffee culture and the love of coffee in Saskatoon and area! Much anticipated, and certainly worth the wait, Museo Coffee has opened the doors of its second location (730 Broadway Ave). 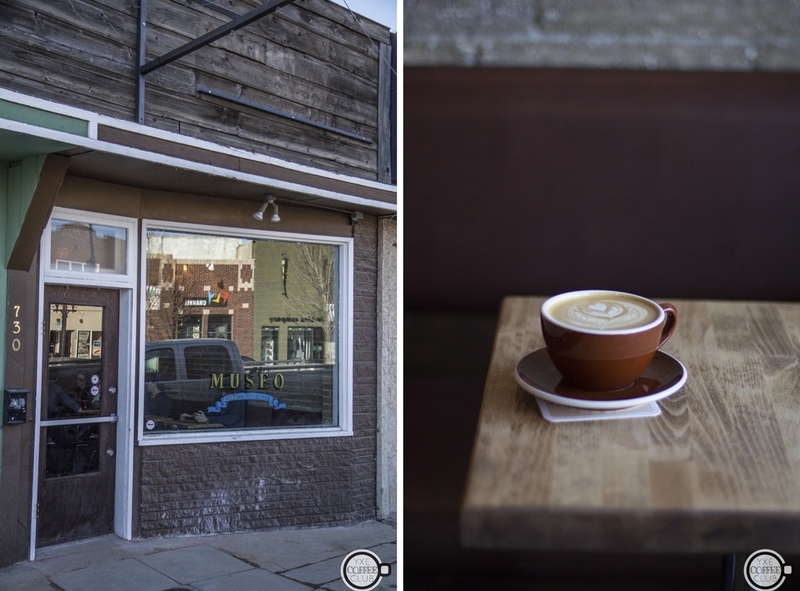 Once the space of Bike Universe, extensive renovations have transformed the shop into Saskatoon's newest cafe: Museo Broadway. Museo Broadway has the look and feel of a 50s, modern and European cafe, combined together with some unique personal touches. One of the highlights is the tin ceiling which came from an old schoolhouse owner Jimmy Oneschuk's grandfather bought and turned into a garage. This was the perfect place to recycle it, and it looks fabulous! The back quarter of the cafe is the new home of Museo Roasters where you may happen to catch Oneschuk hard at work, the aromas tempting you to take home a bag (or two) of superbly roasted beans. So next time you're strolling down Broadway, stop in, grab a drink and pastry, then spread the word to your friends. Keep an eye on their website for current and future hours.